Woke up real late yesterday and missed the marketing hours of our local morning bazaar which is colloquialised as “pasar”. 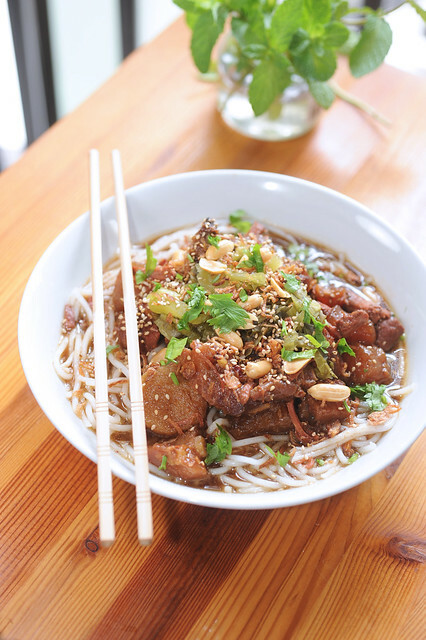 Not wanting to “succumb” to instant noodles, I prepared “instant” beef noodles with the beef brisket I braised couple of days back and some ingredients I had at home. Simple fanfare with a few ingredients for that extra touch! The gratification was instant as well oh yeah! 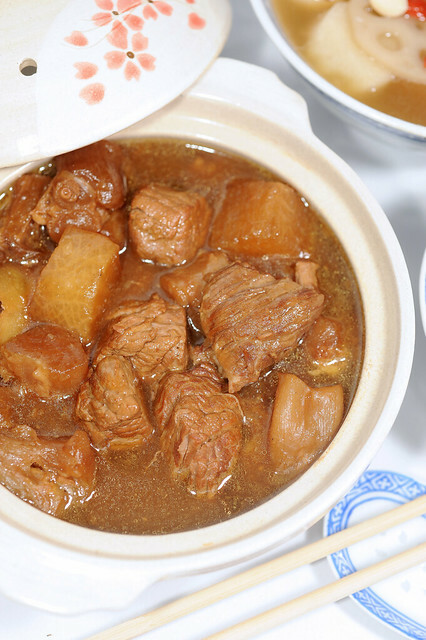 柱侯萝卜焖牛腩 Braised Beef Brisket with Daikon in Chu Hou Sauce is one of my favorite dishes from the 粤菜系 Cantonese cuisine. 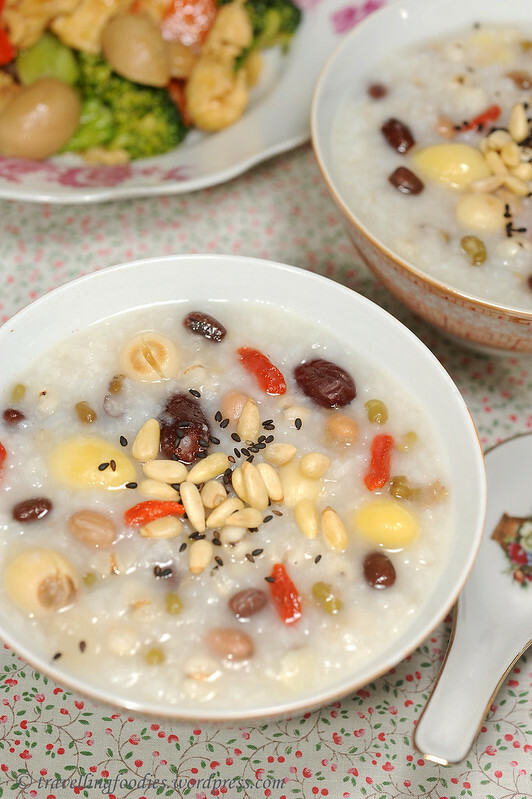 It is a must-order for me whenever I visit chinese restaurants, be it Hong Kong cafes, or traditional Cantonese restaurants. Succulent beef brisket, beef tendon and daikon braised to perfection, drawing in all the flavours from the condiments and spices added, making it a rare treat for me. And the sauce is simply out of this world, especially when left to mature overnight for the flavours to fully develop! Give me a bowl of the sauce and I could polish off 3 bowls of rice with it! Unfortunately not every Cantonese restaurant offers this, owing to the long cooking time required, and for those which do have it on their menu, not all of them do it well. Yes, it is a time-consuming dish to prepare but reassure that it is well worth the effort! Braise a huge pot of it, which is usually what I do, and it would keep me happy for days at ends! This is going to be a long post given the long ingredients list and cooking method. So please bear with me as the details cannot be spared!